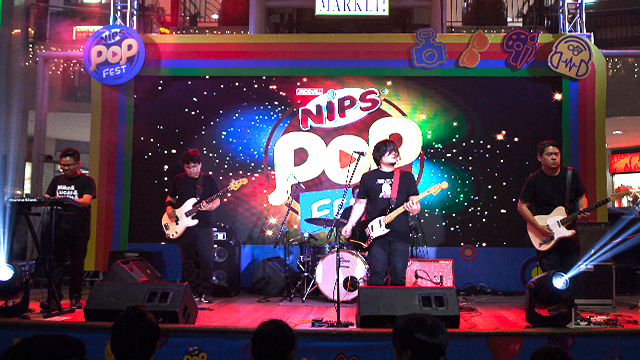 Check out the winners of the Nips PopFest 2017! Vlogging is all the rage these days, with more and more viewers looking for original and highly creative content. Whether you’re already a bona fide content creator or an aspiring one, these award-winning clips from the Nips PopFest 2017 will inspire you to take the plunge and kick-start your own vlogging career. Watch the winning videos below! Warning: Uncontrollable dancing, major LSS, and a craving for Nips chocolate are guaranteed. 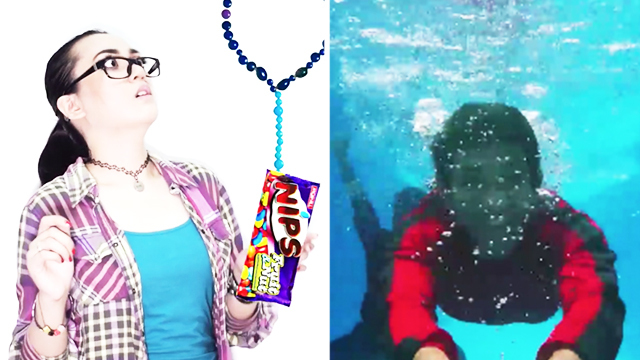 Jhun Art lives up to his name with his artistic and inventive interpretation of the Nips jingle. The stars of the video were singing and dancing NIPS canisters, complete with silly facial expressions. Truly one for the books! Aspiring travel vlogger Michael takes his viewers on a journey around his hometown, even going underwater at times, in his highly entertaining video. Doesn’t this make you want to go on an adventure, too? With its groovy choreography and abundance of Nips, it’s no surprise that Lyle’s video became a runaway crowd-pleaser. It’ll make you want to head out and dance, with your own pack of Nips! Now on its third year, the Nips PopFest 2017 music video making contest received over 100 video entries and got over 30,000 votes from all over the country. The winning videos were announced on November 18 at the Market! Market! 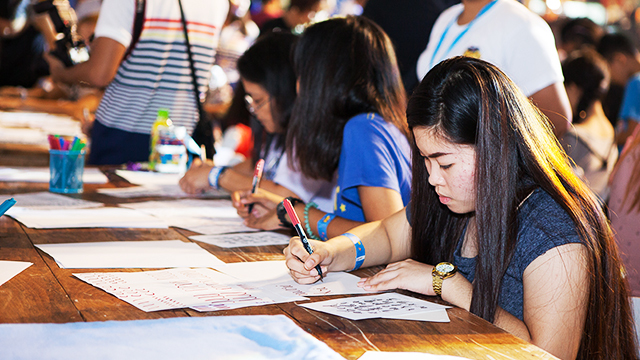 Activity Center, where hundreds of Nips fans gathered to celebrate art, music, and fashion while rediscovering their playful sides. 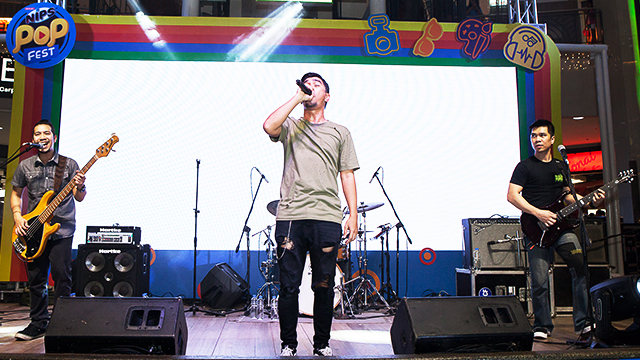 To start and cap off the memorable afternoon, Pinoy bands Autotelic and Rocksteddy rocked the whole mall with their awesome beats. 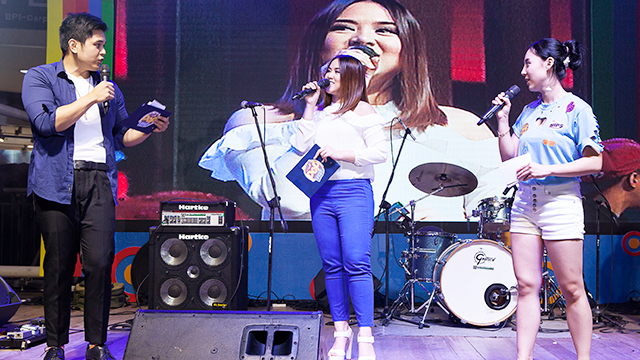 MYX VJs Sunny, JC, and Ai hosted the show and joined in the fun. The guests had a blast trying out the various activities at the event. There were calligraphy lessons, a T-shirt design booth, a photo booth, a mason jar decorating booth, and a room where you can dance and belt out the Nips jingle with funky props. 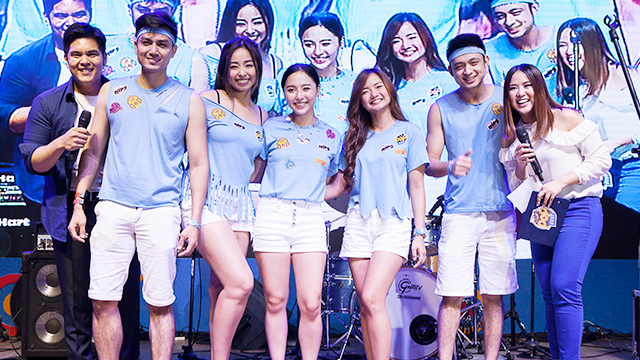 MYX VJ Sunny indulged her inner fashion designer by designing Nips T-shirts for a mini fashion show, much to the crowds' delight. 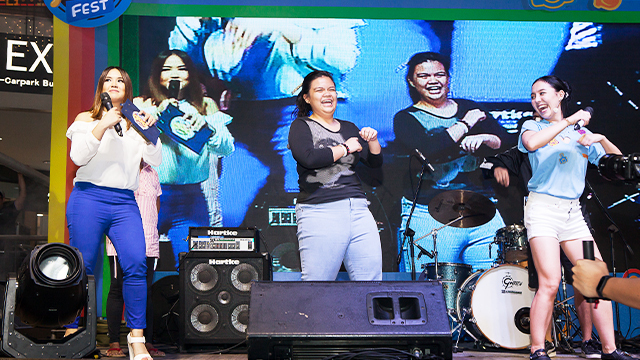 Audience members were also free to dance and sing onstage, showcasing the best of Filipino talent. Can’t get enough of Nips? Visit the Nips PopFest 2017 website to learn more!